We’ll Evaluate Your Pool For Free! 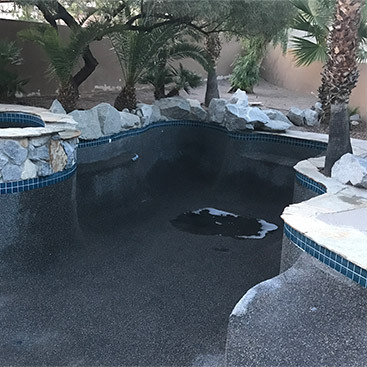 We specialize in residential pool service, maintenance, and repair. Our weekly service can be full service or chemical only. 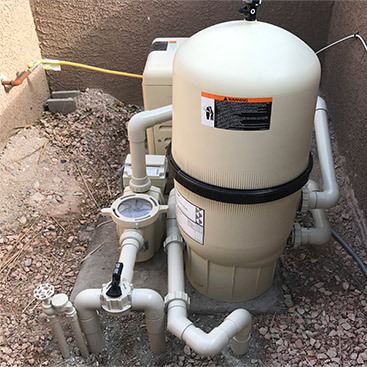 We specialize in equipment and plumbing repairs as well as equipment replacement. 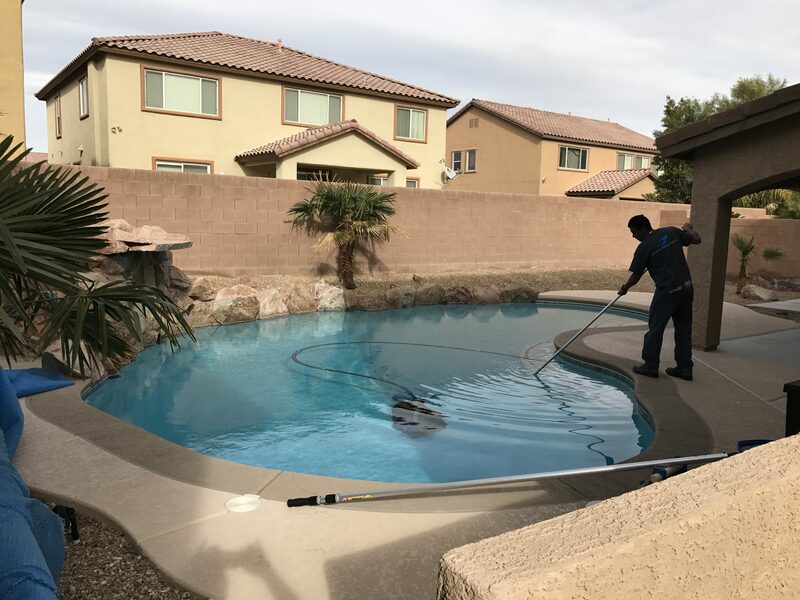 We can get your pool sparkling again in a few easy steps. Often no drain required. We can drain your pool and remove staining and sanitize the plaster. Then refill with fresh water. We can come by and get your pool in shape for the swim season or that home sale. Has it been a while since you cleaned your filter. We can come by and take care of that for you. 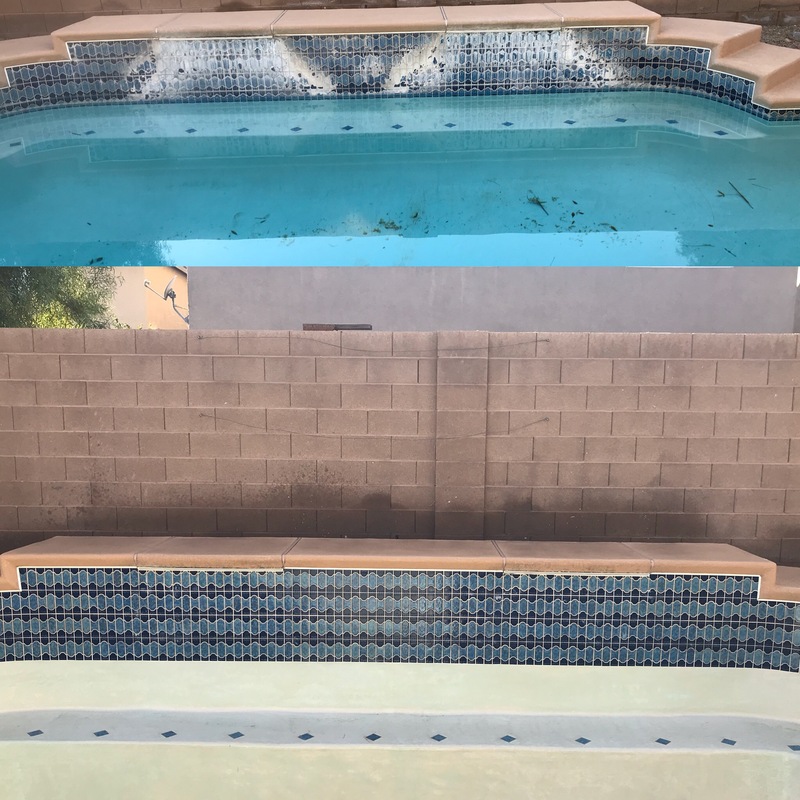 We can remove the unsightly calcium buildup from your pool tile. 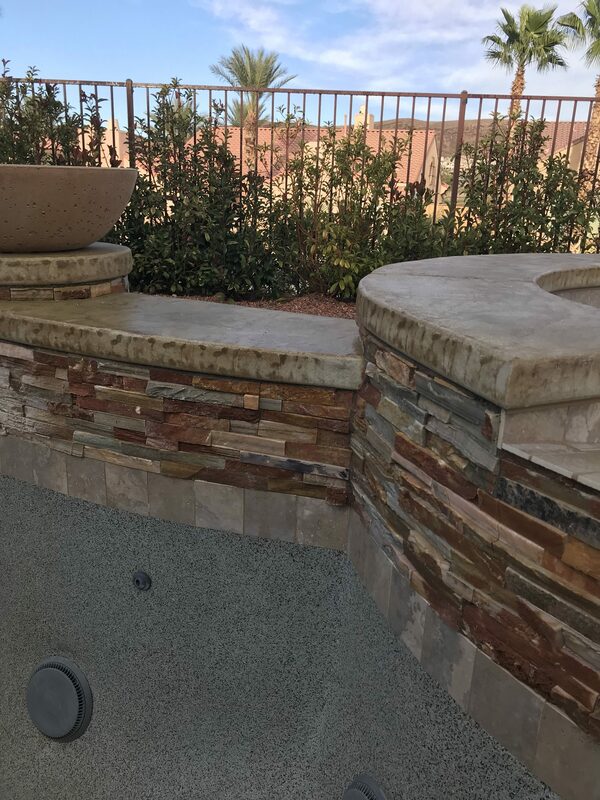 We can add that handrail to your pool or spa to help with entering and exiting. Owner Jason Farrell has been in the pool service business since 2012. He is a father of two wonderful children and a husband to his wife of 14 years, Jenny. They moved to Las Vegas in 2006 after Jason left the United States Air Force. 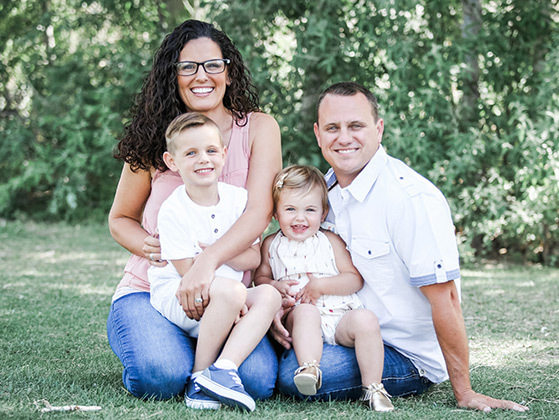 They both went to college where Jenny earned her Masters in Communication, and Jason earned a Bachelors in Technical Management and an Associates in Computer Science and Small Business Management. 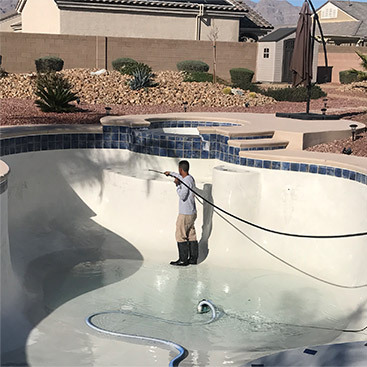 After working for a government contractor for a few years Jason decided to start his own pool service business and Beat the Heat Pool Service was born. Jason understands the importance of family time better than most. His previous jobs have had him traveling as much as 8 – 10 months out of the year. He can appreciate what it is to be a pool owner and having the ability to spend time with your family. 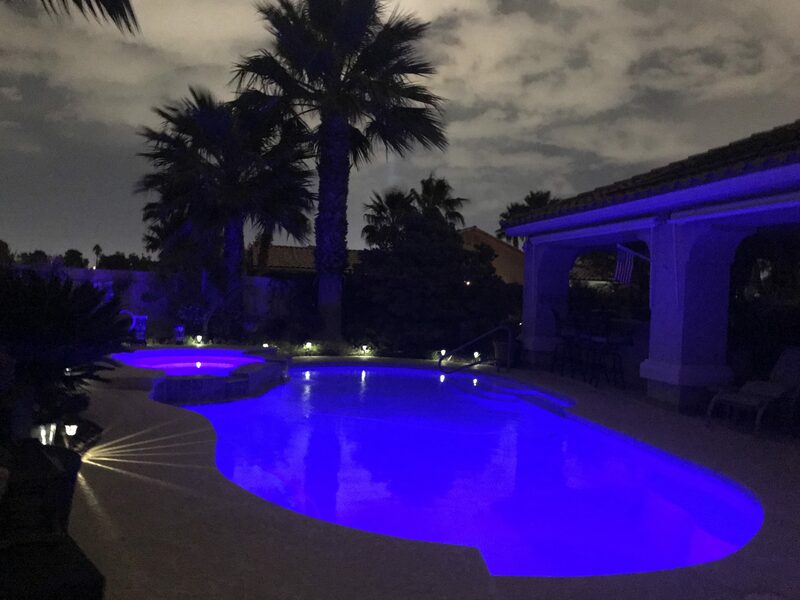 His focus is on ensuring your pool is in the best shape it can be so you can spend time with your family in it.